Most common beauty products we wouldn’t dare put into our food since they’re full of unpronounceable chemicals. Shea butter, on the other hand, makes sense – it’s healthy, natural, and worth considering as a healthy staple to add to your life. 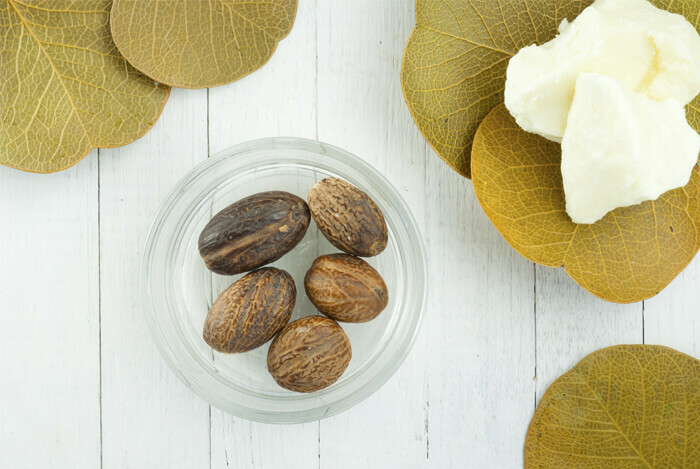 Shea butter comes from the fruit of the Shea Nut Tree, which grows in West Africa. The fruit of the Shea Nut Tree has a high nutritional value. When dried and separated from the outer shell, it can be crushed, roasted, and grinded down to be separated from the Shea Nut Fruit’s oils. The resulting creamy paste, shea butter, is an edible oil that is used in a number of foods, including chocolate, which only adds to its nutritional properties and texture. 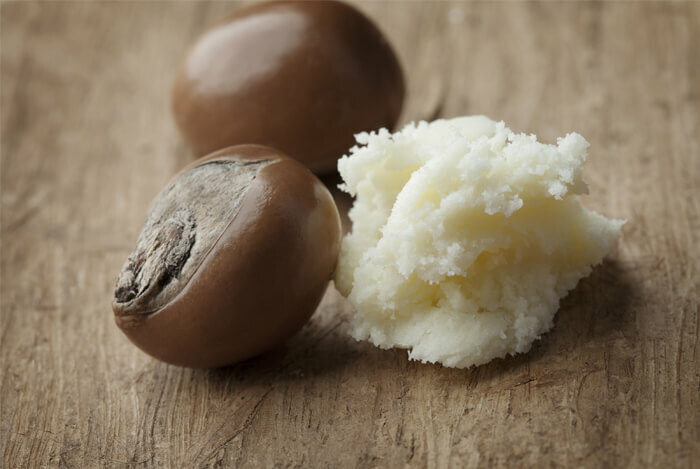 And, as you probably already know, shea butter is also used as a highly effective moisturizer and skin protectant. 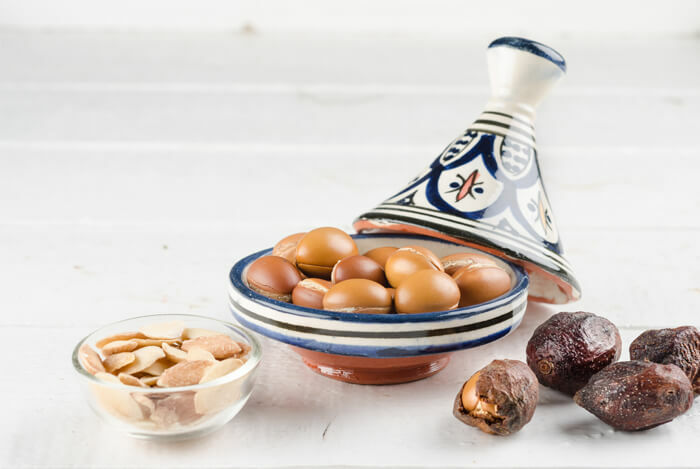 Shea Nuts and shea butter are both good sources of Vitamins A and E, antioxidants, and essential fatty acids, all of which provide important health benefits. Vitamin A – Vitamin A plays important roles related to bone growth, immune health, and reproduction, as well as aiding in eye health. 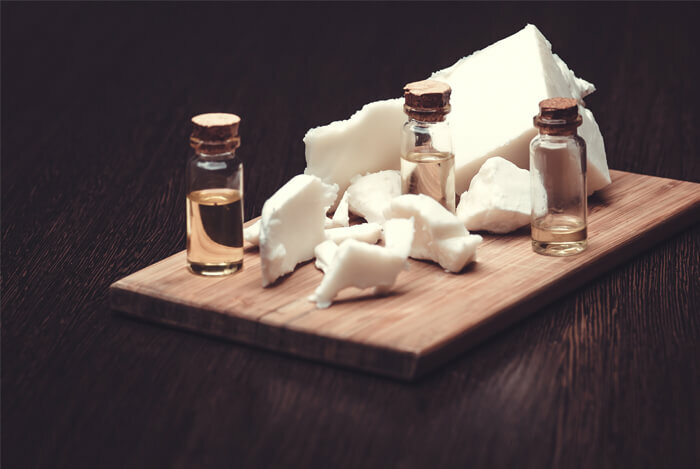 Though typically consumed in balanced diets, if you have a diet lacking in this important vitamin, adding shea butter to your cooking can help mitigate a deficiency of this nutrient. Vitamin E – Vitamin E helps maintain bone, heart, and organ tissue, as well as aid in skin and brain health. It can also reduce the risks of age-related eye problems in the long run. Antioxidants – Shea butter contains antioxidants such as catechins (also found in green tea and cinnamon). As you may recall, these antioxidants help combat the aging process and provide many health benefits including the prevention of certain diseases and cancers. Essential Fatty Acids – The majority of shea butter’s fatty acid profile is made up of stearic and oleic acids. Substituting trans fats, or man-made fats, with stearic acids may reduce your risk of chronic diseases. On top of that, diets with higher amounts of oleic acids have many benefits, including better diabetes control and insulin regulation. We’ve talked about it with other good oils like coconut oil, as well as fat-rich foods like avocados. 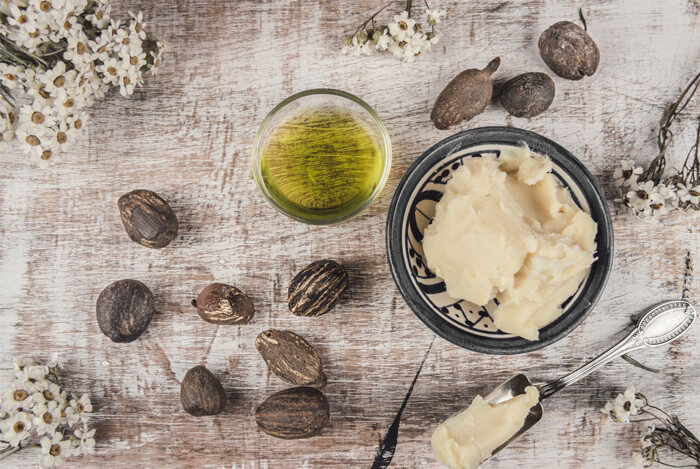 Scientists at the American Society for Clinical Nutrition found that compared to palm oil and sunflower oil, shea butter favorably affects blood lipids. As I mentioned above, shea butter is rich in antioxidants including both polyphenols (plant – based micronutrients) like catechins, and cinnamic esters. What you need to know is antioxidants neutralize free radicals, and as a result can provide numerous health benefits. Now that we’ve gone over some of the great benefits of shea butter, let’s talk about how to eat it. Typically, you’d be using shea butter as an oil substitute. The creamy solid can be used in the place of lard too, as well as in baked goods. You can also try adding a dollop of raw, unrefined shea butter into smoothies, or even spread it on toast. The easiest way would be to melt it onto a pan in the place of conventional butter before you start cooking. To be frank, shea butter is infrequently used or seen as a food product, representing less than 0.1% of total edible oils in the market. This is because people still see it as a chiefly cosmetic product only. Unrefined shea butter is prepared without the use of processing chemicals or preservatives. Shea butter is naturally a beige, ivory color and has a nutty smell. On the other hand, refined shea butter tends to be bleached white and odor free. Grade “A” shea butter is of the highest quality, raw, and unrefined. The closer you get to “E,” the more processed it becomes. 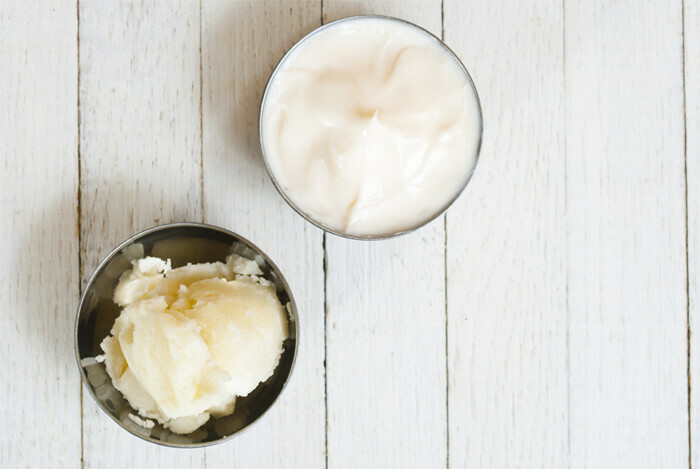 Like most products, shea butter comes at a variety of price points and levels of quality. As mentioned above, your best bet is to get raw, unrefined shea butter that hasn’t been changed or reduced in nutritional value through the refinement process. Although, to the honest, the unrefined shea butter isn’t that high in nutrients to begin with. While those with tree nut allergies may consider staying clear, there is limited data indicating that shea nut products would induce allergic reaction. So you’re probably fine but should consult your doctor to be safe. What’s your take on shea butter? Have anything else you’d like to share? Let me know in the comments below!